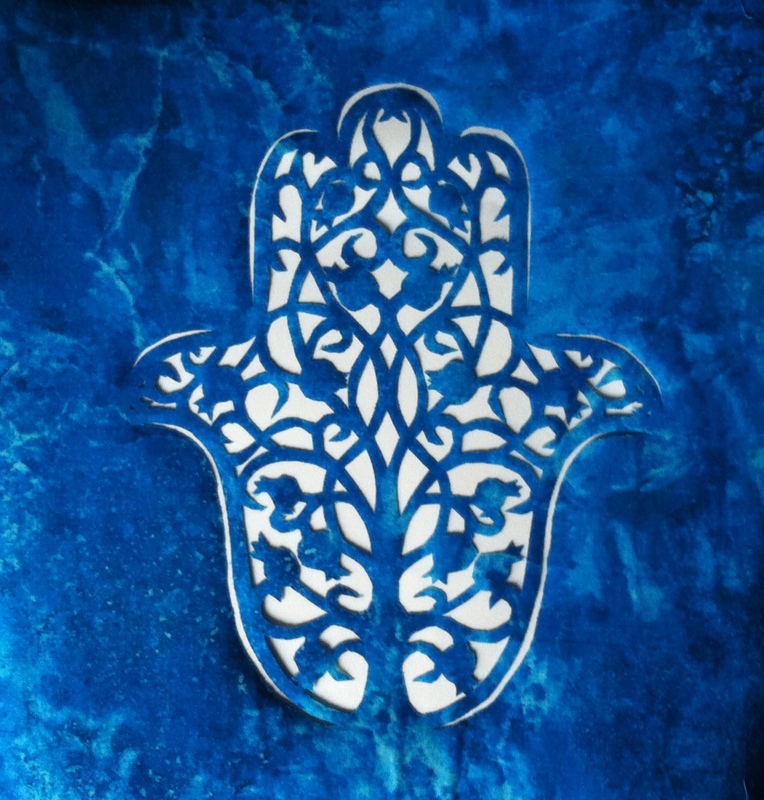 ← I’m teaching my hamsa class again, 7/23! 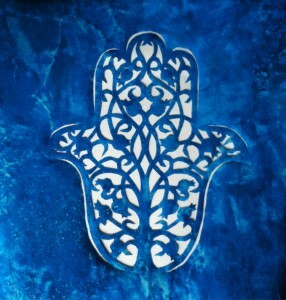 Here is the hamsa I’m working on. I wanted to see how small I could cut the fabric with an Xacto knife. I think this is the smallest I can cut. It was rather frustrating to work on. However it looks just like some of my paper-cuts out of paper. When finished it will be 12″ X 12″. I plan to sew a straight stitch along every edge. Luckily I have another week to do it as my 12 x 12 group is meeting a week later than usual because of July 4th.